See the Program Overview for additional information. The CASPA application period for Spring 2020 is from April 25 – September 1, 2019. Applicants are strongly encouraged to submit their applications and supporting documents as early as possible. Applicants are responsible for following up with CASPA to ensure all necessary documents are received. After CASPA confirms receipt of all necessary documents and completes the application, students must forward any updated transcripts for courses in progress at the time of application to the Office of Graduate Admission. Application deadline for classes beginning January 2020 is September 1, 2019. All applications must be e-submitted, verified, and all documents received by the September 1, 2019 deadline. 3) three letters of recommendation: one must be from a PA, MD or DO. Applications verified by CASPA with all supporting documents received prior to the application deadline will be sent electronically from CASPA to Chapman University’s Office of Graduate Admissions. Step 1: Submit application and official transcripts via CASPA no later than September 1, 2019. Step 2: Beginning in June 2019, a select group of qualified applicants will be contacted by phone or email, and invited for an on-campus interview. Step 3: Complete the interview process. Step 4: Admissions decisions will be made on a rolling basis until all class seats have been filled. Step 5: Once accepted, submit a letter of confirmation with a nonrefundable deposit of $1,000 to the program to secure your seat in the upcoming class. Step 6: Complete a successful background check, meet all health and immunization requirements and submit proof of BLS certification from an approved AHA course. The program will send specific deadline requirements to accepted students. If there are any problems or questions with uploading information, please contact CastleBranch. Students are notified if there are any deficiencies in required documentation at which time the student is responsible for correcting any deficiencies. For those who do not have certain immunizations, it may take up to 6 months to receive the full series and have titers drawn. Accordingly, please make sure you allow yourself enough time to complete this requirement. Federal and state laws allow students and employees to decline certain vaccinations. If you decline vaccination, you MUST submit an Immunization Declination Form and comply with policies and procedures specific to each clinical site in regards to vaccine declination. If you have a nonresponsive to the Hepatitis B vaccine series, (i.e. you have had the vaccine but your titers do not show immunity to Hepatitis B), please contact your medical provider for CDC recommendations. All prerequisite coursework must be obtained from an accredited college or university with a grade of “C” or better. All coursework must be completed by the time of matriculation into the program. *Human anatomy and physiology, chemistry, biology, and microbiology, may not be taken by an online or correspondence format. 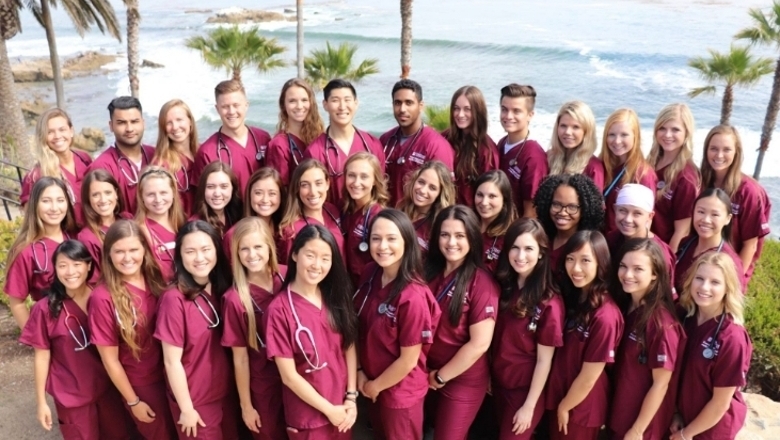 Admission to the Chapman University MMS PA Studies program is competitive. 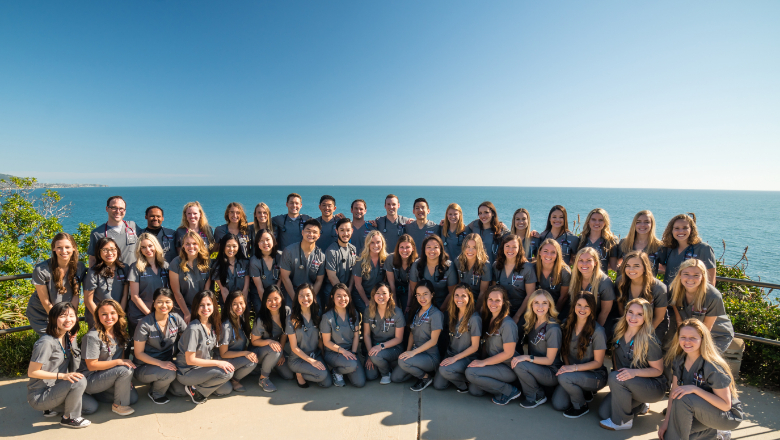 Our selection process is based on a combination of your CASPA application, academic performance (GPA & GRE), letters of recommendation, shadowing hours, patient contact hours, personal statement of intent and performance during an in-person interview. Persons who have been dismissed from another PA program are not eligible for admission to Chapman University's MMS PA Studies Program. All applicants must complete the Graduate Record Examination (GRE). No minimum GRE score is required, although your score will be taken into consideration in the overall assessment of your application. The GRE must have been taken with the last 5 years from the application deadline (no later than September 1, 2014). The official GRE score report must be received by Chapman University no later than September 1, 2019 for your application to be considered for admission. Chapman University’s institution code is 3681. A department code is not needed. A TOEFL score is required if bachelor’s degree was completed at an institution where English was not the primary language of instruction. TOEFL score must meet minimum standard requirement of 80. Technical Standards: qualified applicants must have abilities and skills in the following areas: observation, communication, motor, intellectual, conceptual, integrative, qualitative, and behavior/social. Observational/shadowing experience with a licensed and practicing PA, MD or DO is preferred. Shadowing hours will not count towards the 1000 required direct patient contact hours. Applicants must enter any shadowing experience and the health care related area of the official CASPA application. Observational experiences to be arranged by the student. The PA Studies program will not arrange nor recommend observational sites. Please check the following website on shadowing:http://capanet.org/pa-students/ Clinical work experience as well as any formal health career training (EMT, CAN, LVN, RN, RT, PT, MT, etc.) cannot be substituted for observational/shadowing hours. Personal statement: 350-500 words, 12 Font, Times New Roman describing how your personal goals are in line with the mission of the program and on how those goals will contribute the community and to the profession. Program tuition is subject to change and typically updated annually. For more information on Tuition, Student Health Insurance, Financial Aid and other student charges, visit the Student Business Services website. The tuition and quote below does not include mandatory program fees, student health insurance, required immunizations, required textbooks and supplies, or living expenses. Students are responsible for health insurance, transportation, parking, room and board, textbooks, laptops, medical equipment and supplies. There are no out-of-state resident fees. After successful completion of the PA Program, students are responsible for the costs of the PA National Certifying Examination (PANCE) and the licensing fee in their chosen state for practice. **Students are required to have Health Insurance, therefore the University bills health insurance as a part of the registration. The annual cost for Health Insurance is $1,840 ($613 per trimester). For more information on the waiver or how to enroll into the health insurance plan please visit the Student Health Insurance webpage . ***A certified background check, drug screening, and medical insurance are required of all accepted applicants prior to matriculation into the program. Additional certified background checks and drug screenings may be required by clinical sites. Tuition deposits are non-refundable. A non-refundable enrollment commitment deposit of $1000 (credited toward the first trimester’s tuition) is required at the time a selected applicant accepts a seat in the class. Students must follow the Chapman University’s Refund Policy and visit the Student Business Services Office to submit a request for a refund. Accreditation standards require that admission criteria into a PA program are established by the PA program faculty but must include Technical Standards for Admission developed by the accrediting agency, the Accreditation Review Commission on Education for the Physician Assistant (ARC-PA). The MMS-PA Studies Program signifies that the graduate is prepared for entry into the practice of medicine. It shows that the graduate must have the skills and knowledge to function in a broad variety of clinical situations and to render a wide spectrum of patient care. It is essential for good patient care to require minimum standards for the education of the physician assistant. In the admission process, the University must judge not only the scholastic accomplishments and potential of the applicant, but also consider the applicant's current physical and emotional status, cumulative and progressive disability, and drug-induced impairments that may pose obstacles to the safe application of the student's knowledge and skill or prevent effective interaction with patients and co-workers. In accordance with University policy and as delineated by Federal and California law, the University does not discriminate in admission, educational programs or employment against any individual on the basis of that individual's handicap or disability and will make good faith efforts at providing reasonable accommodation as required. Candidates for the PA program must possess the intellectual ability to learn, integrate, analyze and synthesize data. They must have functional use of the senses of vision, hearing, equilibrium and taste. Their exteroceptor (touch, pain, and temperature) and proprioceptor (position, pressure, movement, stereognosis, and vibratory) senses must be sufficiently intact to enable them to carry out all the activities required to complete the activities described below. Candidates must have sufficient motor function capabilities to meet the demands of the PA program and the demands of total patient care. They must be able to complete the didactic and clinical curriculum in its entirety. The candidate for the PA program must possess ability, aptitude and skills in five areas: observation, communication, motor, intellectual, behavioral and social. Observation: The candidate must be able to observe demonstrations and experiments in the basic sciences, visual presentations in lectures and laboratories, laboratory evidence and microbiologic cultures, microscopic studies of microorganisms, and tissues in normal and pathologic states. A candidate should be able to observe a patient accurately and completely at a distance and close at hand. Observation necessitates the functional use of the sense of vision and somatic sensation and is enhanced by a sense of smell. Communication: A candidate should be able to speak, to hear, and to observe patients in order to elicit information, perceive non-verbal communication, describe changes in mood, activity and posture. A candidate should be able to communicate effectively and sensitively with patients. Communication includes not only speech but reading and writing. Communication in oral and written form with the health care team must be effective and efficient. Motor: Candidates should have sufficient motor function to elicit information from patients by palpation, auscultation, percussion and other diagnostic maneuvers. A candidate should be able to carry out basic laboratory tests (urinalysis, CBC, wet mount, gram stain, etc. ), carry out diagnostic and therapeutic procedures (phlebotomy, venipuncture, placement of catheters and tubes), and read ECG's and X-rays. A candidate should have motor function sufficient to execute motor movements reasonably required to provide general care and emergency treatment for patients. Examples of emergency treatment reasonably required of a physician assistant are cardiopulmonary resuscitation, the administration of intravenous medications, the application of pressure to arrest bleeding, the opening of obstructed airways, the suturing of simple wounds and the performance of simple obstetrical maneuvers. Such skills require coordination of both gross and fine muscular movements, equilibrium, and functional use of the senses of touch and vision. Intellectual: Conceptual, Integrative and Quantitative Abilities: These abilities include measurement, calculation, reasoning, analysis and synthesis. Problem solving, the critical skill demanded of PA's requires all these abilities. The candidate must also be able to comprehend three dimensional relationships and to understand the spatial relationships of structures. Behavioral and Social Attributes: A candidate should possess the emotional health required for full utilization of his/her intellectual abilities, the exercise of good judgment, the prompt completion of all responsibilities attendant to the diagnosis and care of patients, and the development of mature, sensitive and effective relationships with patients. Candidates should be able to tolerate physically taxing workloads, and to function effectively under stress. They should be able to adapt to changing environments, to display flexibility and to learn to function in the face of uncertainty inherent in the clinical problems of many patients. Compassion, integrity, concern for others, interpersonal skills, interest and motivation are all personal qualities that are assessed during the Admission and education processes. 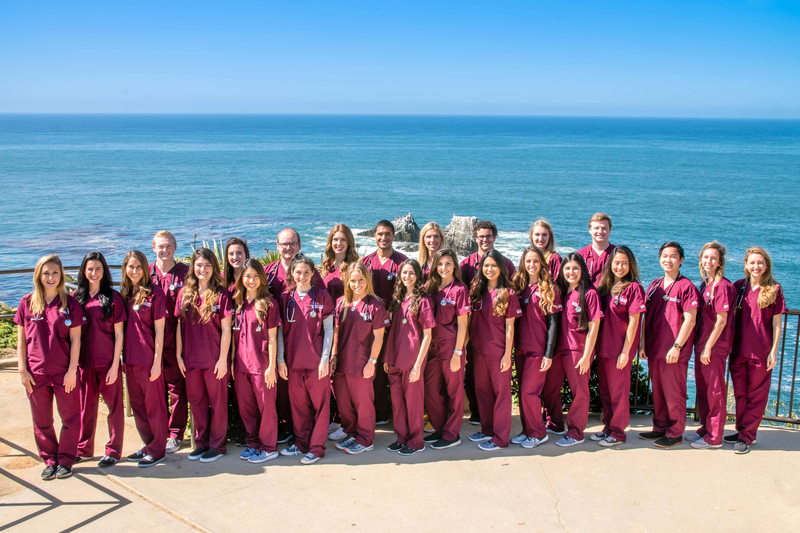 This is a guide for courses at Chapman University that can be used to satisfy the Masters of Medical Science PA Studies Program prerequisites. *Human anatomy and physiology, chemistry, and microbiology may not be taken by an online or correspondence format. All Foreign Academic records must be translated to English and certified by University Language Services and submitted to CASPA. If foreign transcripts are in English applicants still need to submit the foreign transcript to CASPA and also have them evaluated by one of the following services: World Education Services (WES), International Education Research Foundation (IERF), and Educational Credential Evaluators (ECE). All foreign coursework and degrees must be evaluated for North American equivalencies with calculated GPA’s on a 4.0 scale by one these services and submitted to CASPA. We will only recognize the degree, course credentials and GPA that they have evaluated. Depending on the circumstances, the applicant might have to begin with the language services because WES, IERF, and ECE will not evaluate the credential or coursework or calculate GPA without an English translation. All of these services are the responsibility of the applicant. Due to new government regulations, we are unable to accept international students into this program at this time. We hope to be able to accept students for the next academic year. We apologize for any inconvenience and look forward to receiving your application at that time. If you have any questions, please contact intladmit@chapman.edu. The PA studies program hosts information sessions each spring to provide information about the program and the application process. Please check back for upcoming dates, times, and locations. Learn more about Graduate Information Sessions.